Liberals are so ignorant that they believe their opinion to be law. They are the quintessential fools who, whenever they disagree with what someone else says or does, say, “There outta be a law against that!” Before making such assumptions they should make an effort to understand the first thing about the law. Instead they support what is completely illegal such as California making itself a sanctuary state to illegal immigrants and giving them the vote. Democrats are declaring that Trump firing FBI Director Comey and Deputy Director McCabe is “Obstruction of Justice” in the investigation of Trump colluding with Russia to steal the election. In the first case, there is no means by which Trump could work with Russians that would change the outcome of America’s election. It is impossible to hack the machines from the outside because they are all individual computers not linked together. It is possible for Democrat operatives to install machines that are pre-hacked. That is why Republicans are demanding all machines in the last Pennsylvania special election be turned over for examination and Democrats are refusing. 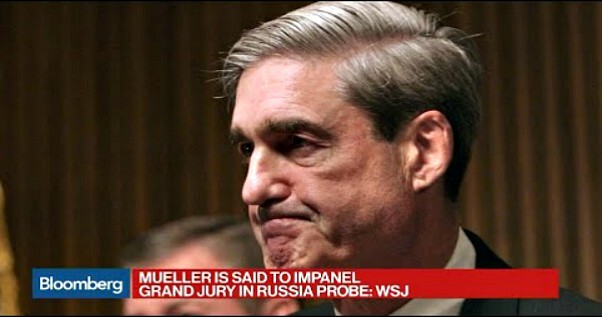 In the second case, Mueller is not investigating any crime and before you can be charged with obstruction there must be a crime you are obstructing. This is simple law that Democrats cannot grasp. They think that because they believe Trump stole the election, a farce perpetrated by Hillary and Obama’s propaganda machine, that he is guilty until proven innocent. After a year of investigating, Mueller has come up without one iota of evidence that even assumes the election was hacked. What was hacked were the Democrat primaries wherein Hillary stole the candidacy from Sanders. Mueller’s efforts have all been spent violating the 4th Amendment rights of everyone and making false and unlawful charges against them. Gen. Flynn’s FBI interrogators all denied he lied to them, yet Mueller charged him with lying to a federal agent and has cost him his savings and his home to pay for legal fees. This is not justice, this is witch-hunting burning a man at the stake on false pretenses. An associate of Mueller’s revealed that he discharged a good FBI agent for “lying” when the man described a car as red rather than the more accurate manufacturer description of the color as scarlet. This is the quality of character of the man Democrats say is “above reproach.” President Trump could and should fire Mueller and bring charges against him and his team for their violations of the Constitution along with Rosenstein for not naming a crime or designating any parameters to his investigation. Democrats would, of course, cry “Nazi,” but liberals don’t know what Nazism is or even who Hitler was besides vague reference to being a war criminal. They are the ones who deny that the Holocaust even happened. All they know is that he attacked the Communists in Russia and they are all for communism. They lack any understanding of the totalitarian socialist ideology to which they adhere and that Nazis and Communists are both totalitarian socialists who only have slightly different economic models and are both products of the Left. Firing Mueller would be no Constitutional Crisis as he is both expendable and replaceable. The crisis is Obama and Hillary spying on the Trump campaign and installing operatives in government that are undermining the President trying to halt the Republican agenda for which the states voted. President Trump and MacedoniaWhy Should We Listen To Liberals About ANYTHING?